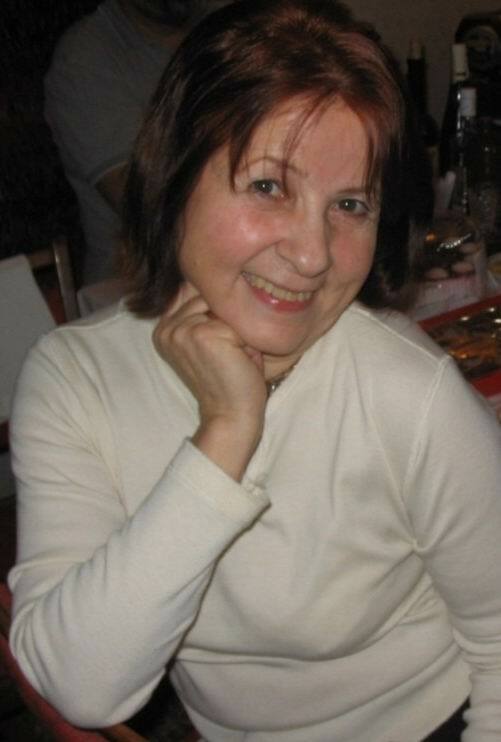 By Svetlana Burova, YWCA of Belarus- Svetlana is one of the founders of the YWCA in Belarus in 1996. She is a lawyer and sociologist. Svetlana is Assistant Professor in the Department of Sociology at the Belarusian State University. She is a specialist in the sociology of marriage and family, gender sociology, methodology and techniques of social research. Svetlana is a member of the National Council on Gender Policy under the Council of Ministers. She has been the Secretary General of the YWCA of Belarus for over 10 years and currently serves as Vice President YWCA of Belarus. She is the project coordinator for the prevention of violence against women, gender education, women’s leadership. Violence against women is a very important social problem in Belarus, where women and girls are exposed to all types of violence – physical, sexual, psychological, and economic. Official statistics on domestic violence are very poor. The Ministry of Interior collects statistical data on crimes committed out of jealousy, quarrel and other reasons typical to family relations. These figures, however, do not reflect the real situation. The actual number is a lot higher. Statistics can not give a full understanding of the situation of domestic violence, whereas surveys (SR) can produce a much better picture. The real problem lies in the fact that in the opinion of the public, domestic violence is hardly considered a problem. The phenomenon of violence is often oversimplified and understood as sexual or physical abuse in most brutal forms. Most of the time women themselves don’t understand that they are being discriminated and subjected to violence. According to our SR every third woman in Belarus has been beaten at least once in her life by her spouse or sexual partner. More than 90% of women suffer from psychological violence. Every fourth student suffered sexual abuse as a minor. More than 80% of the Belarusian population consider that a women who has gone though various types of violence will suffer stress and psychological trauma. About 60% of the Belarusian population believes that a woman who has gone though various types of violence, will experience general deterioration of her health. According to respondents’ opinion, one-fourth of the population thinks that as a result of violence a woman will not be able to bear children and will be a bad mother. One-fifth of respondents agreed that the negative influence of violence leads to the destruction of the family. Domestic violence causes the reduction of birth rate, negatively influences the children and boosts the divorce rate. Women recognise these consequences more often than men. – Group 2 – “Passive”, women who continue to live with the abuser and do not change anything in the their lives or try to seek help, as well as those whose situation has resolved itself – 22 women. The majority of women in both groups experienced strong negative emotions regarding what happened in their families during their childhood. Some women even had serious consequences from domestic violence experienced in childhood connected with their psychological state and need for medical intervention. It is not a clear fact that the negative atmosphere in the parental home may have only a negative affect on a girl. For some it is “a hard school of life” which tempers the character and makes one overcome any obstacles in life. At least, an active group of women was subjected to various hardships in childhood; the consequences of these hardships in emotional and social aspects are different. Fathers and mothers who were different by their character, forced interaction, quality of life, the influence of non-family agents (school, friends) can influence in different ways, but something “outweighs” in the process of formation of personality, and these girls become strong and resistant, although this resistance can be very serious (e.g., refusal to marry, restricted contact with men, etc). What unites all “active” women is that they were able to get out of situations of violence in adulthood independently; they have overcome it, found the strength, set some important goals for themselves, and have stopped being dependent. Most of the “active” women reviewed their relations with men and refused traditional marriage. They have gradually matured their understanding that it should not be like that. They began to protest and to look for a new partner and/or spouse. They sought and found someone who does not use violence. If it wasn’t possible, they preferred to live without a husband. This distinguishes them from those “passive” women who continue to be victims, while still married to the abuser. In most cases active women were able to explain what happened to them, they were able to analyze their situation. “Passive” women often limited themselves to relationships with a man who is the first and the only for them; these women often found it difficult to explain the violence directed at them. One of the most important conclusions made by the researchers, while analyzing interviews with women who managed to get out of violent relationships, is constantly repeated: we must change ourselves. Find the courage to change and to love yourself, respect yourself as a person. Be strong, be active, act. This is the leitmotiv of most of the advices. This is an appeal to a woman herself – stop being a victim! You can do it! Revise your attitude towards yourself. Don’t be afraid, don’t suffer; become economically viable and independent of men. Let’s fight back, break the relationship immediately once confronted with violence. Abusers almost never change, if only they are not interested in personal transformations themselves. Active women – survivors of violence, raise your educational level, seek professional help, think about your children, do not marry the first man you meet. Every woman should realise that when she is experiencing violence and every woman has the right to live without violence. High-quality information and facts regarding this subject.